Amazon is advertising a big sale in the Kindle store for 18 novels by Kurt Vonnegut! For the next four weeks, you can buy each one as an ebook for just $3.99. For Slaughterhouse Five, that represents a 50% discount from the regular price of $7.99. 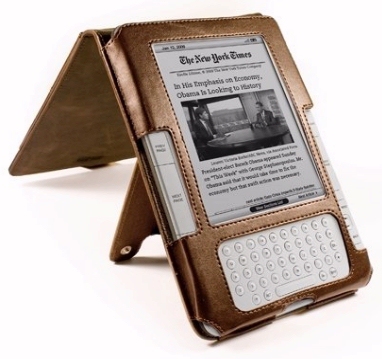 “You guys really know how to empty out our pockets,” joked one Kindle owner, posting their reaction on Facebook. 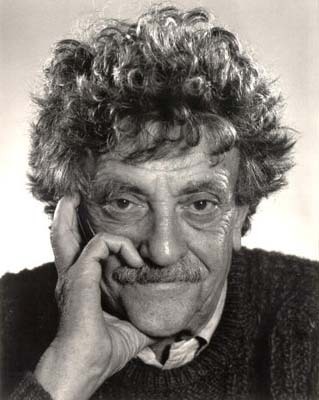 Here’s a list of the Kurt Vonnegut novels which are now available as $3.99 ebooks. I know a lot of my friends will be excited too, because Kurt Vonnegut has always been one of their favorite novelists. But I feel a special connection to the author, because of a precious experience I enjoyed during a visit to Los Angeles. 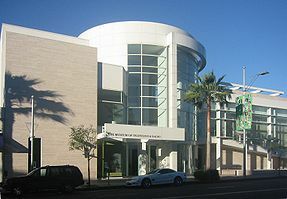 The Paley Center for Media preserves recordings of old and rare programs in a museum in Beverly Hills. In 2006, I paid them a visit to watch the only television broadcast whose script was actually co-authored by Kurt Vonnegut himself. It was an adaptation of a story which Vonnegut would later publish in “Welcome to the Monkey House,” though in 1953 the only place it published was the Ladies Home Journal. Five years later, Vonnegut’s sister died, within a few days of her husband, and as he adopted their children, Vonnegut wondered — at the age of 36 — whether he should give up writing altogether. But somehow in that same dark year, his name ended up on the teleplay of a very dramatic episode of G.E. Theatre. It was hosted by Ronald Reagan, and starred a young Sammy Davis Jr. in the story of a black soldier whose troop passes by a German orphanage shortly after World War II. (One online review calls it “one of the great moments in television history,” since it was one of the first starring roles ever for a black actor on TV.) A black boy in the orphanage mistakes the lonely soldier for his father, and “Private Spider Johnson” soon has to make a very difficult choice. Reportedly even the production crew cried during the broadcast’s final scene, when the solider collapsed to his knees, sobbing. It’s never been released as a DVD, but I watched on a viewing station at the museum. It’s impossible not to be deeply moved by the story of the orphans left behind by the war. (“Had the children not been kept there…they might have wandered off the edges of the earth,” Vonnegut wrote, “searching for parents who had long ago stopped searching for them.”) The story’s title is D.P., which stands for “Displaced Persons” — the technical military term for the desperate children. And it’s because of this story that my favorite Kurt Vonnegut book has always been “Welcome to the Monkey House”. ABC leaks script of new TV series on the Kindle!